It’s tough to photograph a dragonfly in flight, but when it chooses to hover, there is a slightly better chance of getting a shot. That was the case recently when I encountered this female Great Blue Skimmer dragonfly (Libellula vibrans) that was in the process of depositing her eggs in the water. 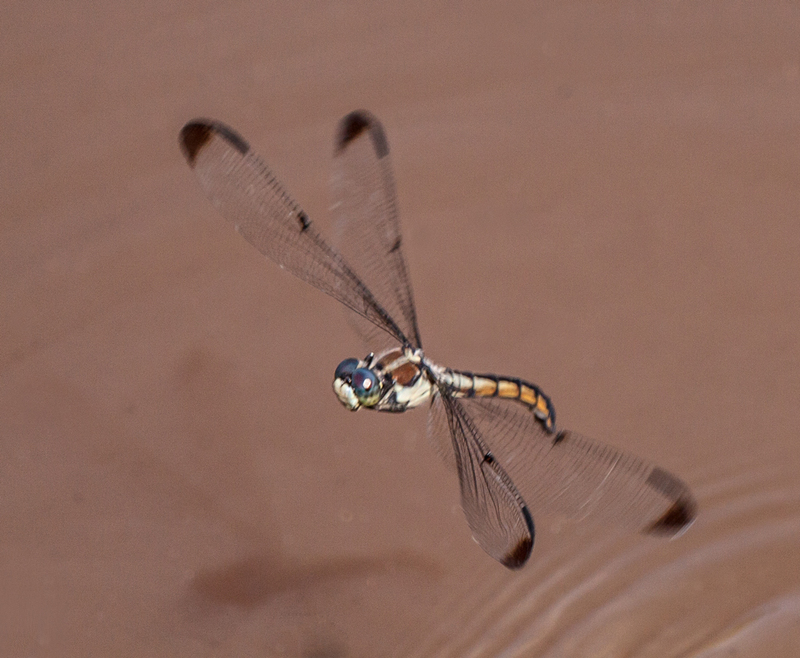 As her mate circled overhead, the female dragonfly would hover over the water and then periodically dip the tip of her tail in the water before returning to the hovering position. 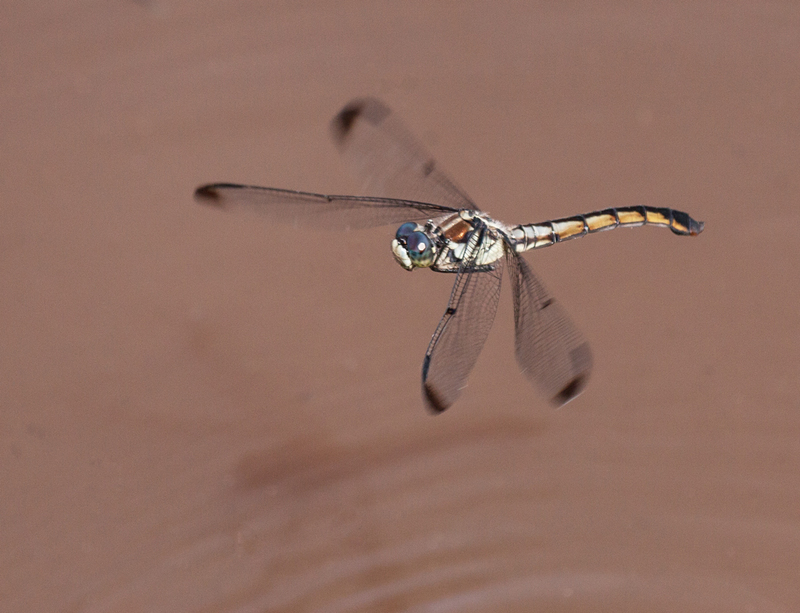 I was able to get several images of the hovering dragonfly, but got only a single image of her depositing the eggs. Looking at my recent postings, you might come to the conclusion that I neglect damselflies, the smaller, less colorful members of the Odonata family, in favor of dragonflies. Actually, I really like damselflies, but they are so small that it is difficult to see them most of the time and quite a challenge to get a clear shot of one. As I was searching for dragonflies, I came upon this beautiful black and blue damselfly perched on a small branch near the edge of a muddy creek and was able to get an unobstructed shot. 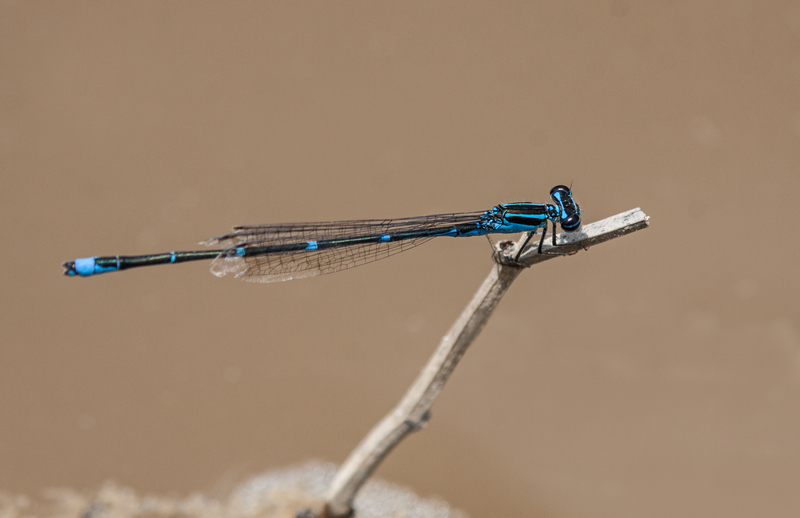 You might think that identification would be easy, but there is a whole group of damselflies, the bluets, whose members have various combinations of black and blue. So far, I haven’t been able to identify this damselfly, but I find its combination of black and turquoise to be elegant and really attractive. Walking along the sidewalk outside my hotel in Denver, Colorado, I caught sight of a beautiful shade of yellow on the breast of a bird that flew by me. I watched as it came to rest in a nearby tree, but couldn’t identify it. 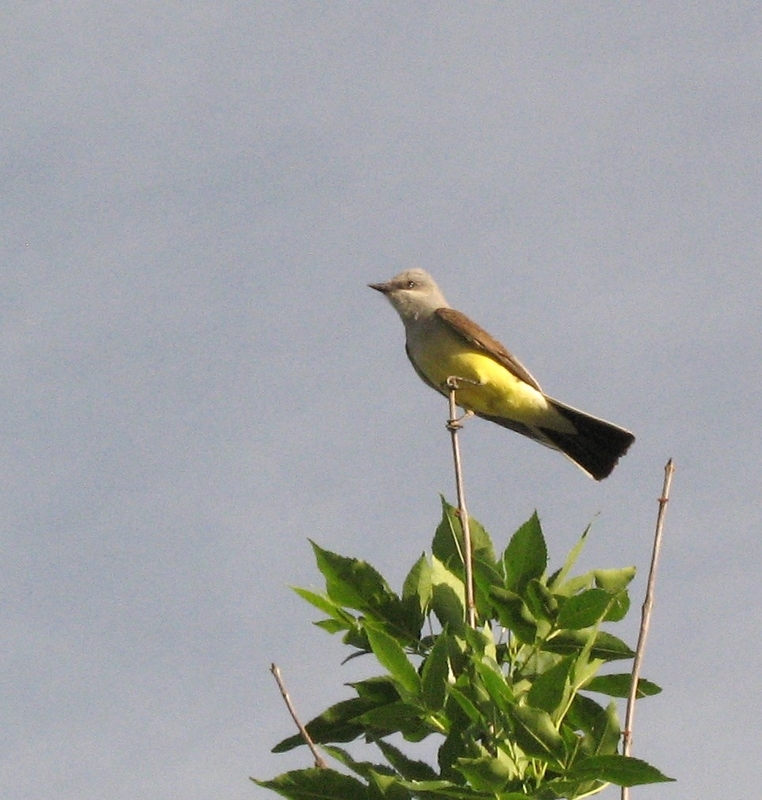 Like the Black-billed Magpie that I featured yesterday, this bird, which I am pretty sure is a Western Kingbird (Tyrannus verticalis), is not found in Northern Virginia where I live. 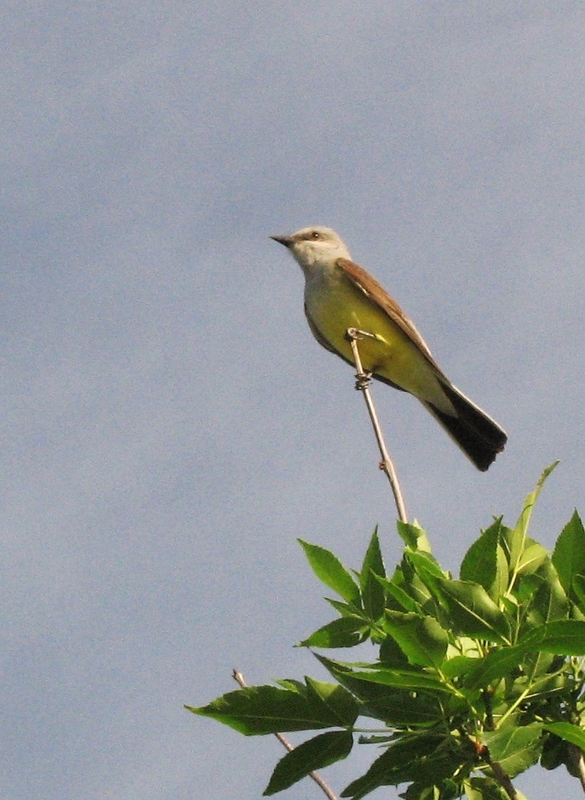 As I watched, this bird flew off several times, presumably in search of insects, but returned to the same perch each time at the top of a tree. I would have liked to have watched this beautiful bird for a while longer, but duty called—this is a business trip after all. 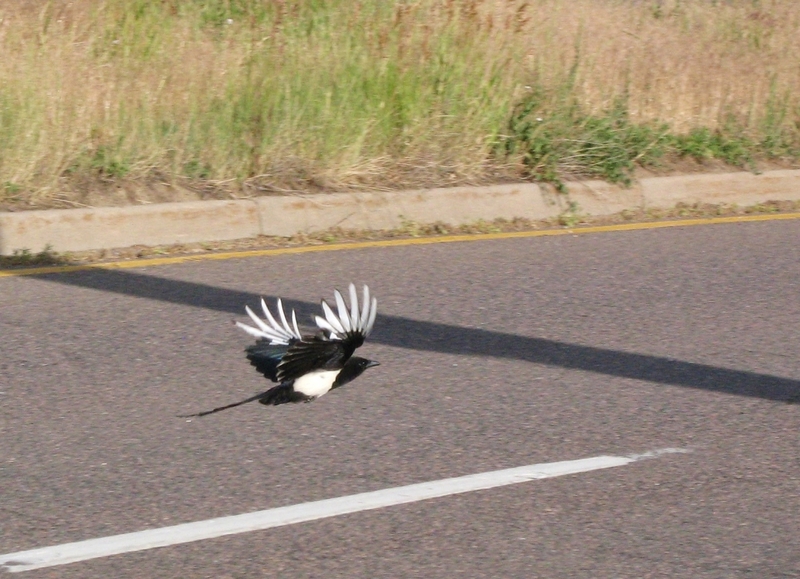 I couldn’t help but notice Black-billed Magpies (Pica hudsonia) here in Denver, Colorado, which I am visiting on a short business trip. 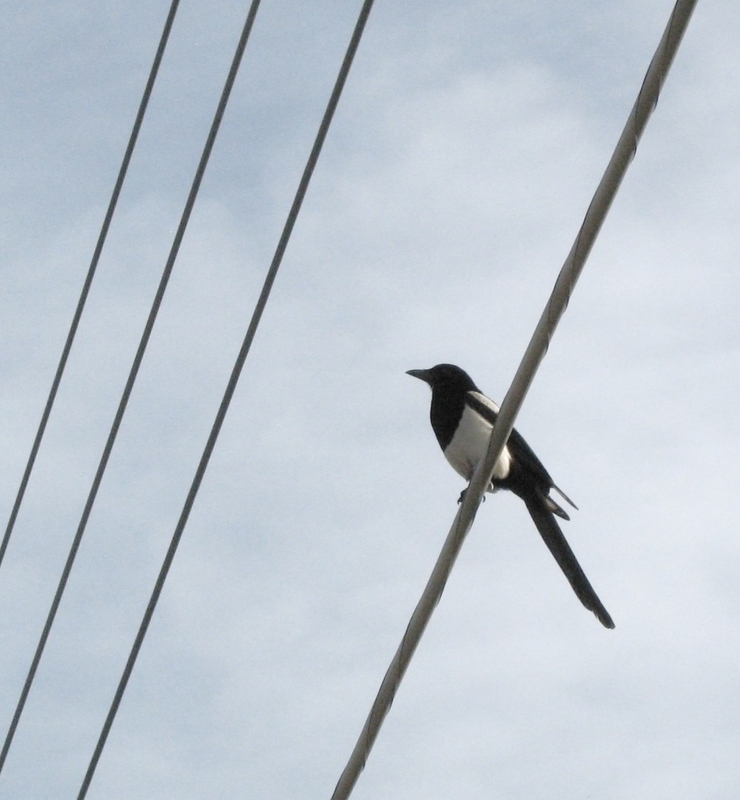 The magpies are loud and boisterous, even in the area of my hotel just off of a major road. 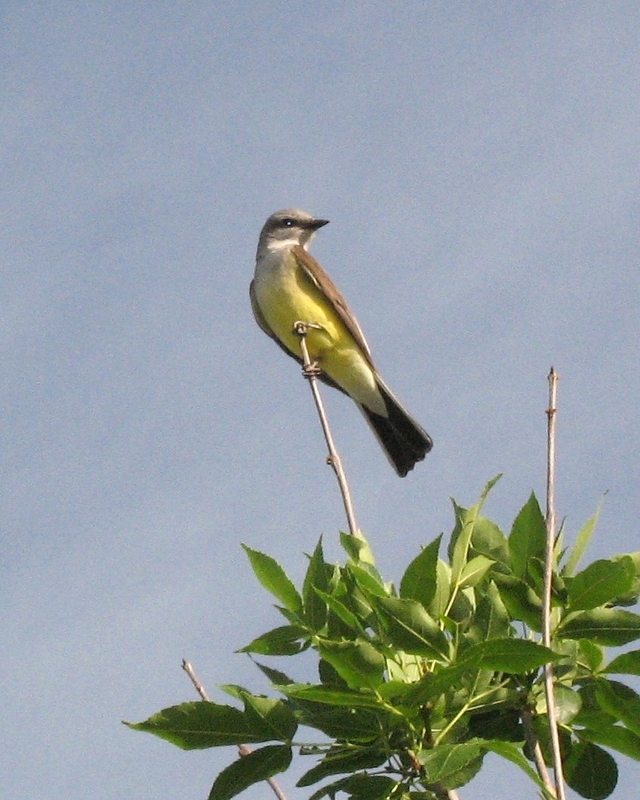 It’s particularly nice to encounter these attractive birds because we don’t see them at all in Virginia. As is usually the case when I am travelling for business, I took these photos with a little Canon point-and-shoot and not my regular DSLR. 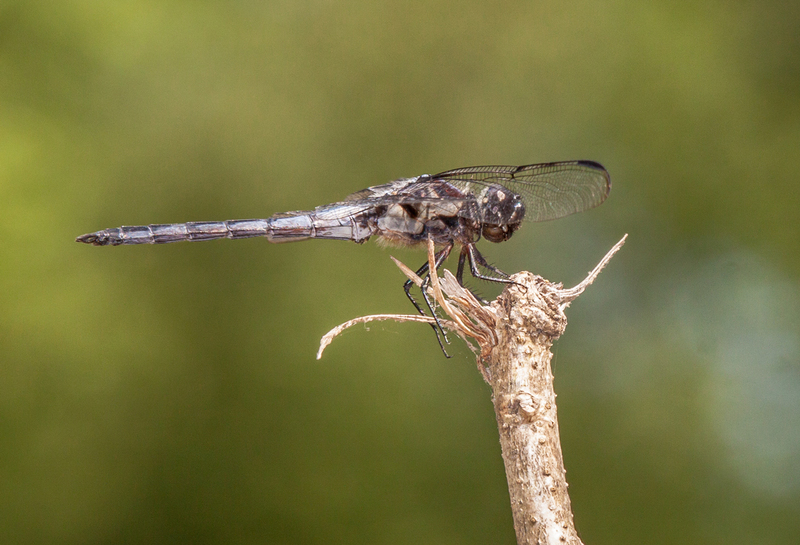 A few days after I stumbled upon a Common Sanddragon dragonfly, a new species for my favorite marshland park, I returned to the remote location with fellow photographer and local dragonfly expert Walter Sanford (who made the initial identification for me). 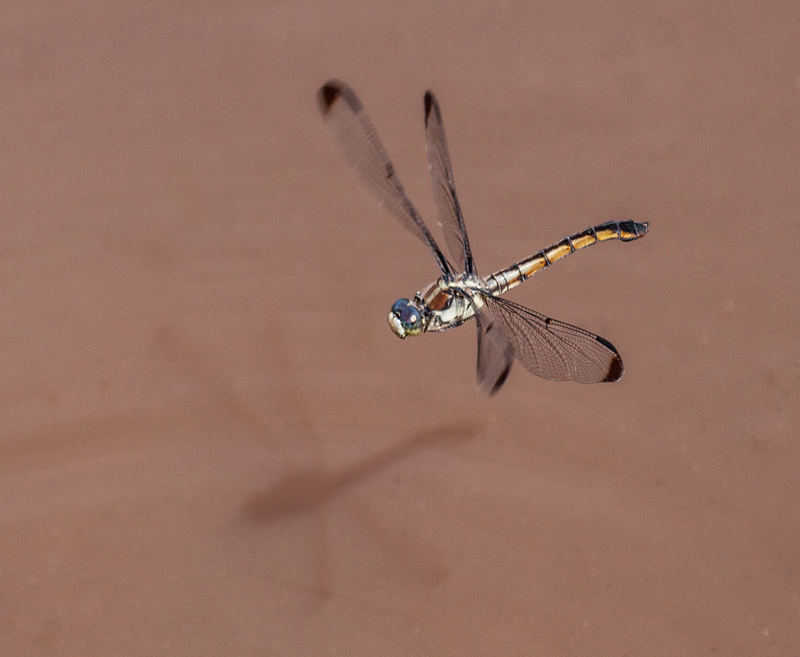 Walter has a science background and his posting today of our encounter with the Sanddragons is full of fascinating scientific information as well as awesome photos of these beautiful little dragonflies. Be sure to check out his complete posting. 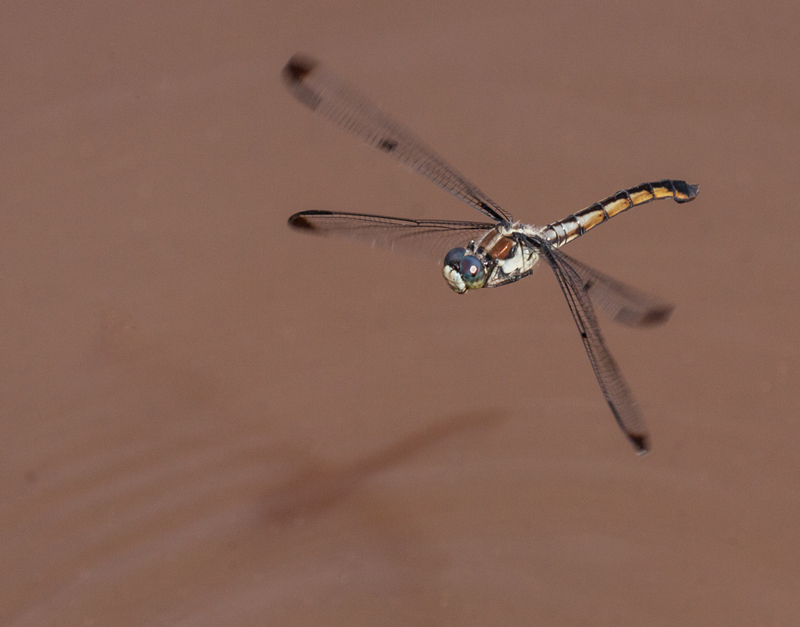 Common Sanddragon dragonflies (Progomphus obscurus) are anything but common. Despite its name, this species is rare in Northern Virginia. 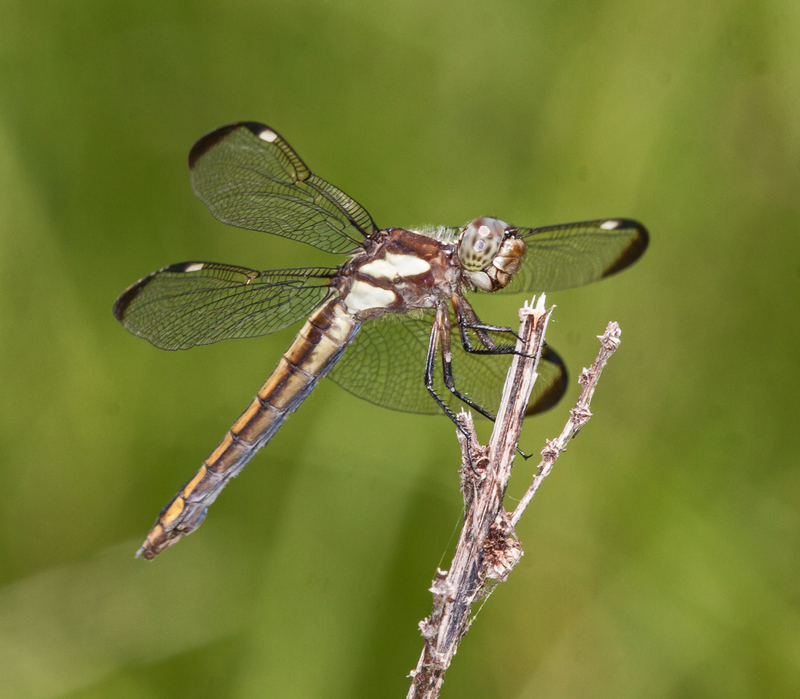 Source Credit: Common Sanddragon, Dragonflies of Northern Virginia, by Kevin Munroe, Park Manager, Huntley Meadows Park. Kevin goes on to cite Bull Run and Goose Creek, two streams where he has seen Common Sanddragons, and speculates they may be found at two other locations in Northern Virginia. Well, you can add a third location where sanddragons have been seen and it’s right in Kevin’s wheelhouse! 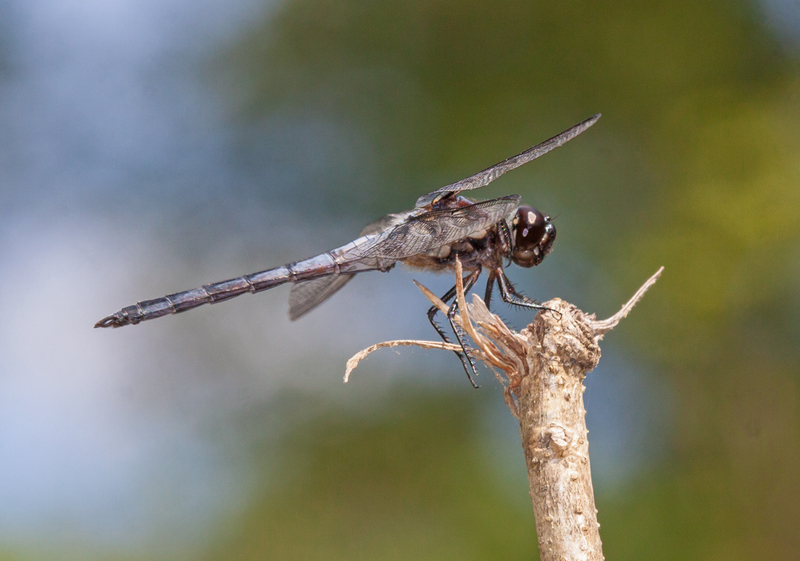 Female dragonflies are often less colorful and visible than their male counterparts, but are equally beautiful.